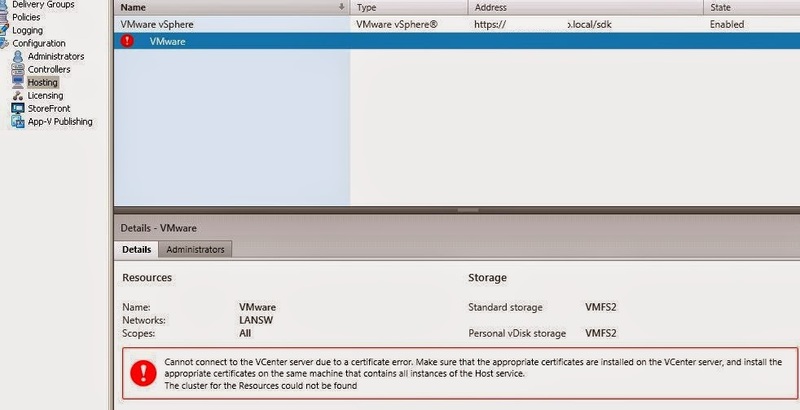 This blog post will show you how to resolve the error stating that the vCenter certificate is not trusted by Citrix. This error appears within Studio at the hosting part and also had effect on the Catalog as it will not show any details anymore. I upgraded/reinstalled the environment just last week, didn’t go as planned but in the end everything worked out fine. This morning I wanted to check something out, not even planned to be working on that site at all, and as I wanted to show something to someone I noticed that there was an error in the console. Studio is known for slowness and errors and I’ve seen a few come by the last week. This error I didn’t see before, it said that the vCenter certificate was untrusted. To remind you, with the installation of a site, at the point where you select the hosting you are accepting this certificate. I did accept the certificate for otherwise you can’t continue with the installation. 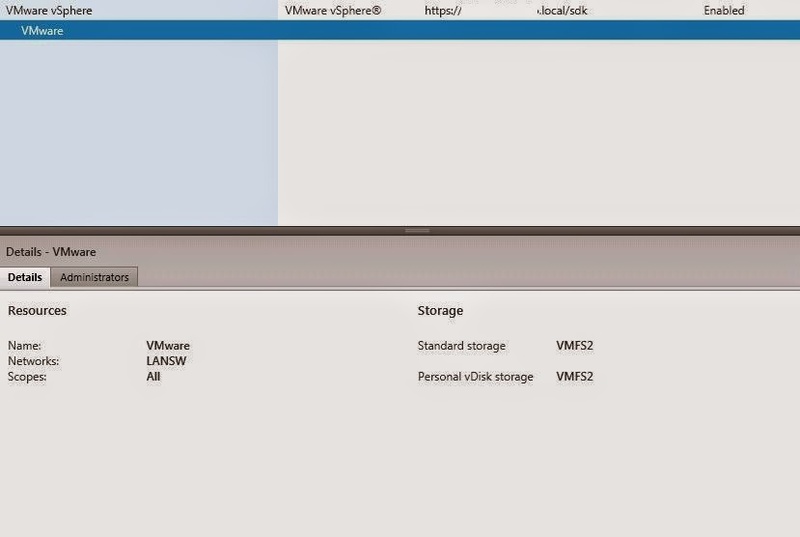 In that folder you will see a number of certificate files related to your vCenter services, SSO and stuff like that. 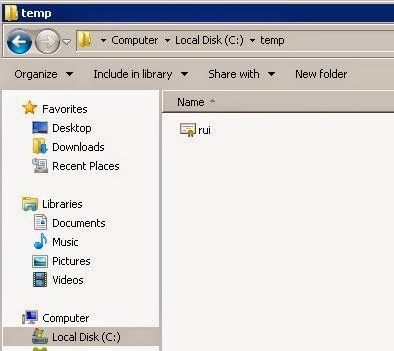 Copy the RUI.CRT file from that folder to your Citrix broker, put it in a temporary folder. Do this for all your broker servers, you need to repeat this step for all broker servers in your Citrix site. 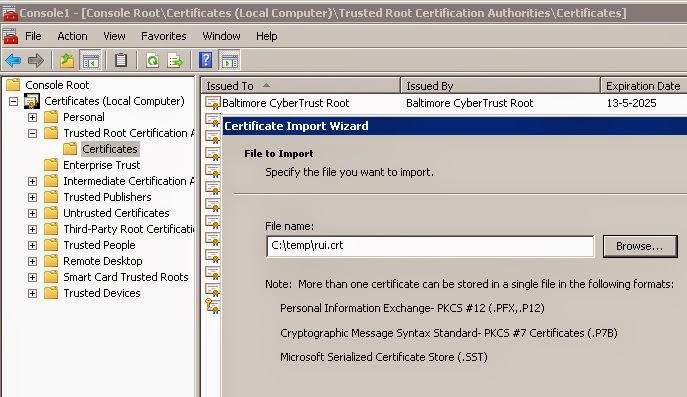 Go to the Trusted Root Certification Authority and open until you are at Certificates level. Right click and choose, ALL TASKS/IMPORT. Browse to the temporary folder where you stored the RUI.CRT file and select it. 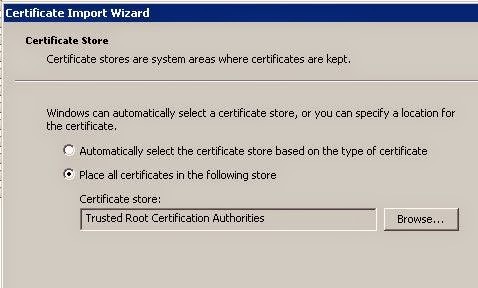 Follow the import wizard until the certificate is stored in the correct store. Now go back to Citrix Studio / hosting and click refresh. As you will see now the certificate is trusted now and the error is gone. It’s not that hard but it would be nice if you could do this from the Studio console… there is an edit option but it only allows you to edit the username and url. This solves the issue, not sure where it came from but if it happens again I’ll dive into it. Hope this blog helps you, check out my sponsors for they are so kind to support me…they have cool products that might be interested to you.